Part of the Steps 4 Life philosophy is that if you are feeling down then you should go and put a smile on someone else's face. Steps 4 Life partnered with the Burrage Mansion and Rochford Foundation to host a Children's Art Project. The theme of the show was "Love through Art." 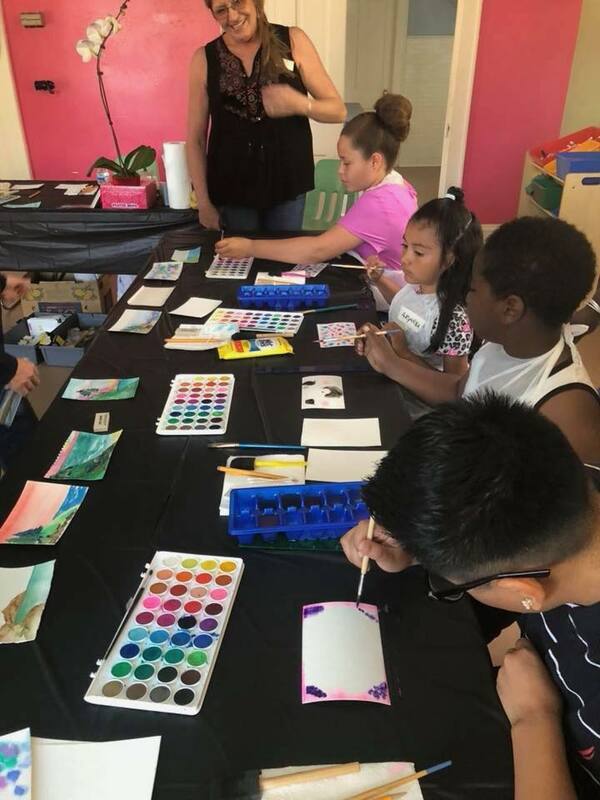 The children painted cards with messages of love in the Burrage Mansion art studio. Afterwards they delivered the cards to people in the local community who are less fortunate. They handed out cards to the homeless people in a local park. They also traveled to a nearby convalescent hospital to visit with the patients and give them some cards. The families learned that it is better to give than to receive. By helping others in their community, they are actually helping themselves.